A family festival which showcases Dursey Island, takes place this year on the weekend of Saturday 15th and Sunday 16th June. The festival on Dursey Island was first launched in 2011 with the aim of showcasing the island as not only somewhere to visit, but also to encourage people to relocate and set up home on the island. Cork is one of only six counties in the country to have permanent island communities; seven West Cork islands are inhabited. Visitors attending the festival are encouraged to ‘be an islander’ for the weekend. All activities on the island are free. A variety of activities and events are on offer on the island, as can be seen in the timetable below. Islanders themselves organise and participate in many of the events throughout the weekend, and are on hand to discuss their experiences of island life with visitors. Further details of events taking place on the other West Cork islands during the summer can be found at www.westcorkislands.com. 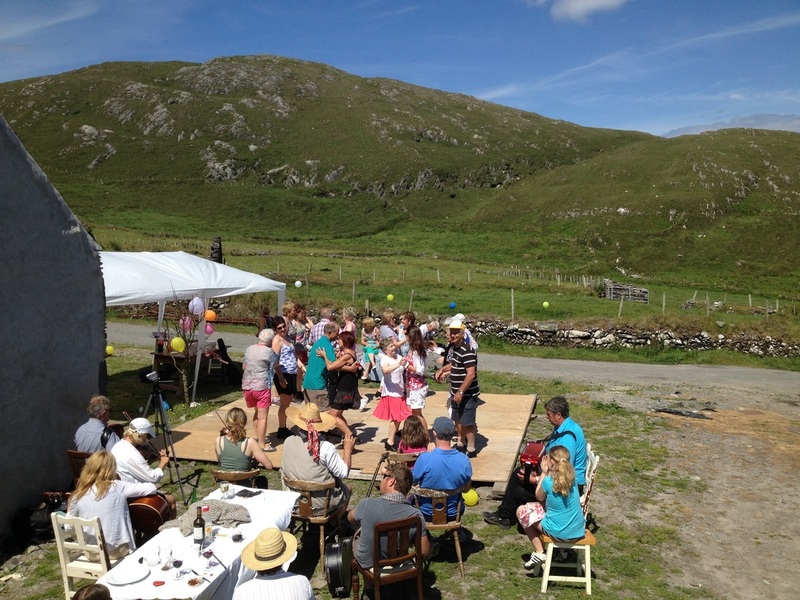 2.00pm (14:00): Traditional Irish music and set dancing session. 12.00 p.m. (12.00) Guided tour of Dursey Island by Penny Durell, author of 'Discover Dursey'. 2.30p.m. (14.30) Screening of 'Miah' a short film directed by Daniel Corcoran and filmed on the Beara Peninsula. The Dursey Island Summer Festival 2019 is sponsored by Cork County Council. 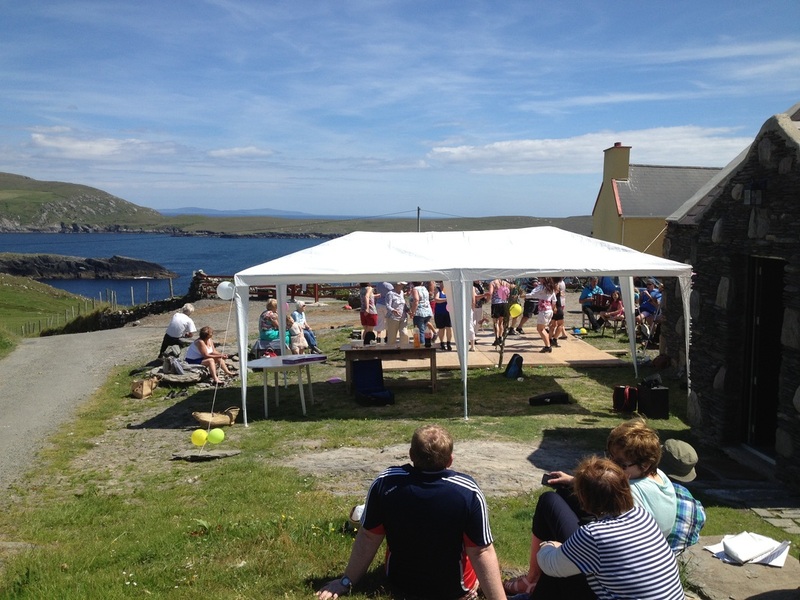 The West Cork Islands Weekend, June, 2015 was a great success on Dursey Island with over 700 euro raised in voluntary donations in aid of the RNLI Castletownbere. 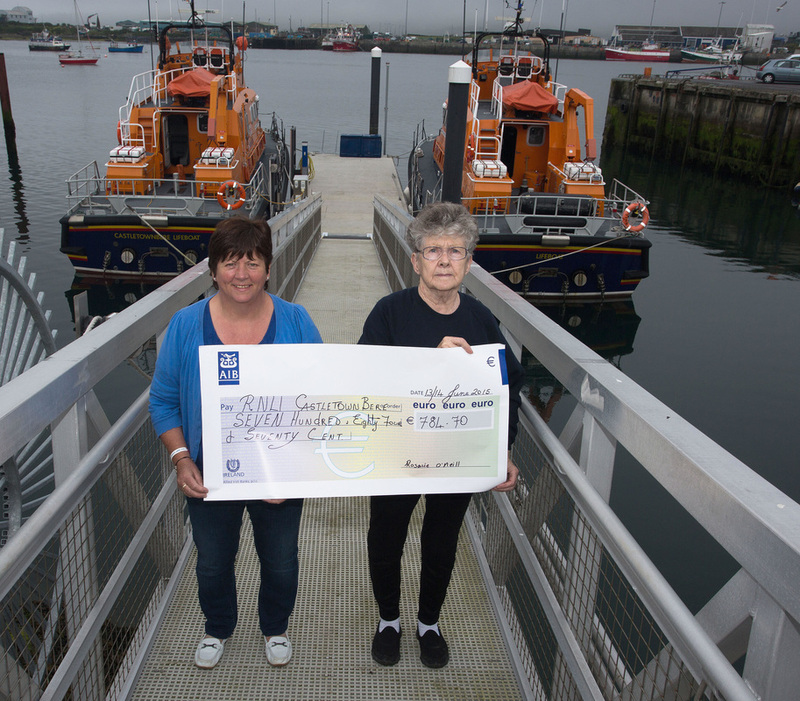 Pictured are Rosarie O'Neill, Treasurer of Dursey Island Development Association presenting the cheque to Sheila O'Driscoll, Head of Fundraising, RNLI Castletownbere. 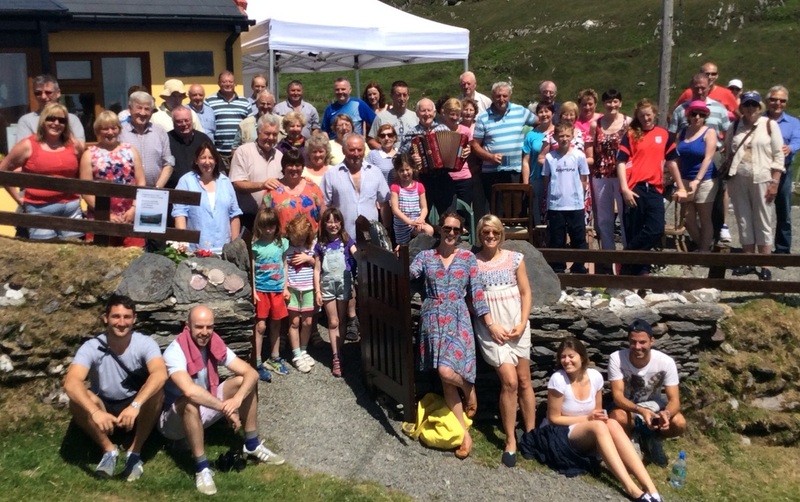 Celebration of Mass on Dursey Island on June 14th 2014. 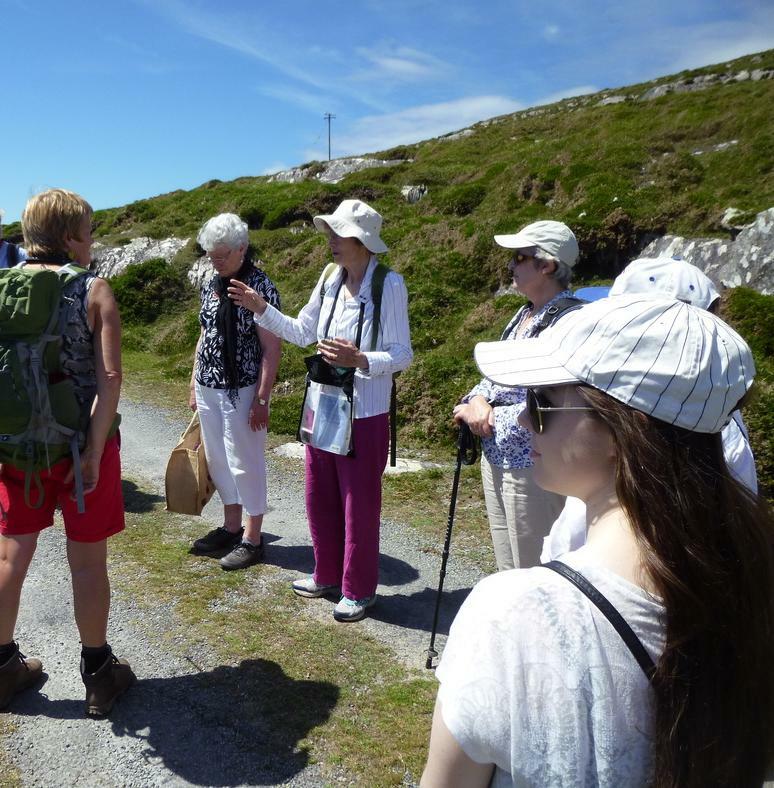 Penny Durell, author of 'Discover Dursey', giving a guided historical tour of Dursey Island on June 15th 2014. 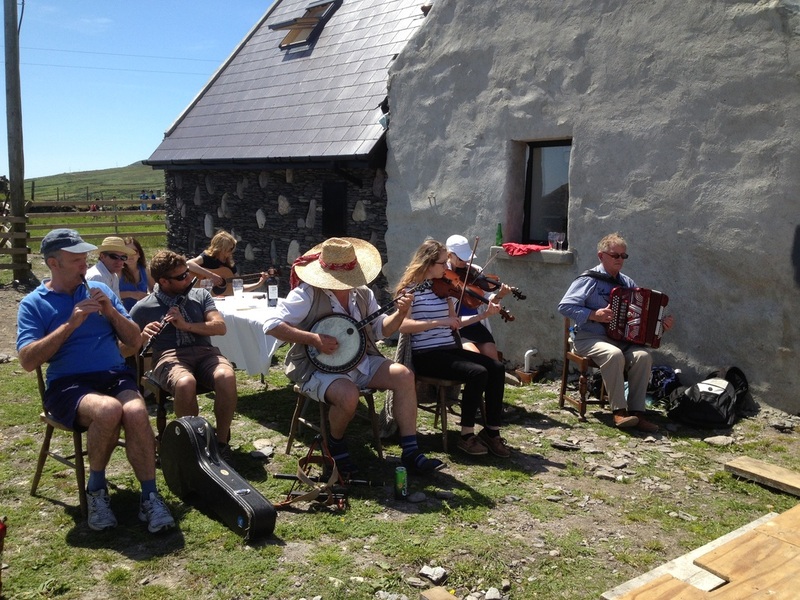 Musicians at a set dancing session on Dursey Island on June 15th 2014. Set dancing session on Dursey Island on June 15th 2014. 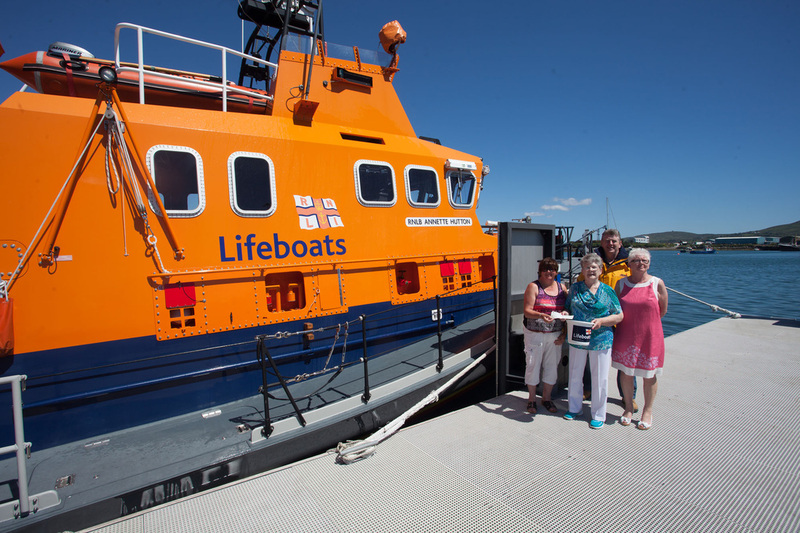 The West Cork Islands Weekend, June, 2014 was a great success on Dursey Island with over 700 euro raised in voluntary donations in aid of the RNLI Castletownbere. Pictured are Rosarie O'Neill, Treasurer of Dursey Island Development Association presenting the cheque to Sheila O'Driscoll, Head of Fundraising, RNLI Castletownbere, Brian O'Driscoll, Lifeboat Coxswain, Castletownbere and Anne Finch, Treasurer, RNLI Castletownbere.